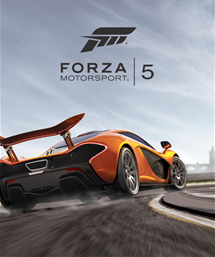 It’s well known that developer Turn 10’s latest racing game, Xbox One exclusive Forza Motorsport 5, hasn’t been receiving fan approval. The microtransaction system built within the game has turned off many people and has even caused the studio to track back at some of their features. But Turn 10 head Dan Greenawalt stated, in an interview with IGN, that he doesn’t understand the criticism regarding the small track and car list in the game. The reasoning behind the small track and car list was because the developer had to rebuild everything from scratch for a new system. “Cars had to be rebuilt to next-gen spec, we’re not going to port over garbage, “Greenawalt stated. Greenawalt revealed that his team never compared the game to Forza 4, it was just all about rebuilding a game. I felt embarrassed, still feel embarrassed, that our fans were holding us to Fora 4 standards and I didn’t see it. I was just very enamored with the fact that we made no compromises toward our vision,” he concluded. Despite the poor fan reception, the game was till critically well received and is one of the better launch title for both the Xbox One and PS4; so there something to be said for that.